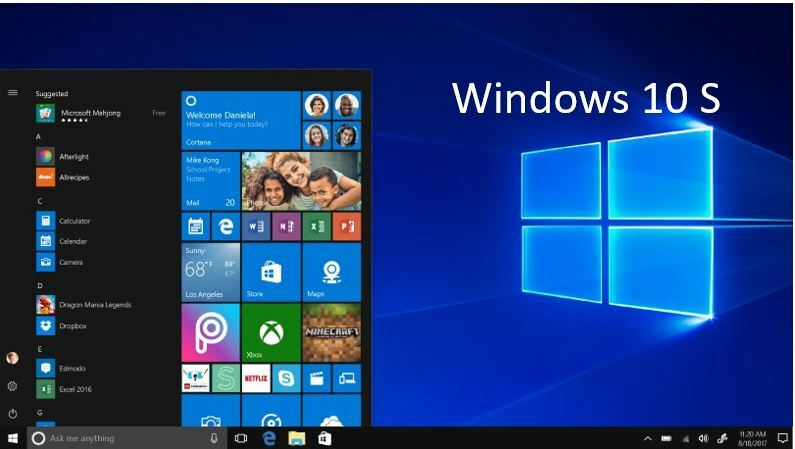 Just like the previous versions of Windows, Windows 10, as well comes with a number of editions, and one of them is the newly released Windows 10 S. The Windows 10 S is a clipped down version of Windows 10, which offer limited functionalities, which might be useful for a class of users, but not for all. But, is Windows 10 S is a good option for you, let’s find out. Windows 10 S as being a clipped down version of standard Windows 10 version, you can only use apps, which are available from the Microsoft Store. It means you cannot use any kind of third-party applications, which you might be having on your pen drive, hard drive or any other source. In simple words, you cannot use any executable files or.exe files, on Windows 10 S, which is a limitation. This limitation can be great for some users, but obviously not great for all, especially for the power users out there. 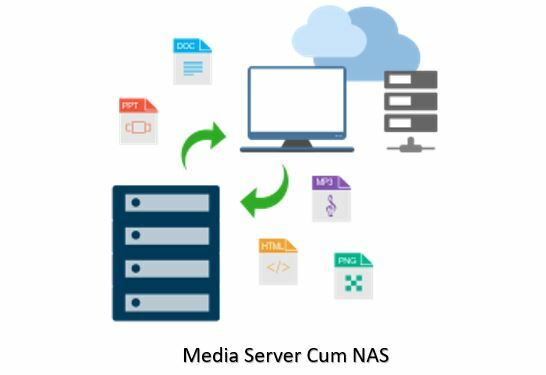 The third-party apps here, even refer to those applications, which are even made by Microsoft, which include Office, Skype, and many other desktop applications. Thus, Windows 10 S completely block access to .exe files, which is the only and the major difference between Windows 10 S, and other editions of Windows 10. As it is known to most people, Google has its own Chrome OS, which is made solely for the Chromebooks, and the same thing is applicable there. Users can only download apps from the Chrome Web Store, and apps from other sources cannot be used. Though, Chrome OS is based on LINUX kernel, whose native executable format is not .exe, but even the executable files meant for LINUX will also not run on the Chromebooks or simply Chrome OS. Chrome OS is only limited to Chromebooks, while on the other hand, Windows 10 S can run on all kinds of computers, capable of handling it, apart from the Surface Pro Laptops, which are advertised to run on Windows 10 S.
But one benefit of Chrome OS is the ability to run Android apps, which is the biggest advantage in case of Chrome OS, as the Google’s own Play Store has millions of apps, and most of them can run on Chrome OS. But, Windows 10 S dependent on Microsoft Store is far from that. In the market filled with competition, everything is introduced, with some motive in mind. Microsoft is not a new start-up, which will keep on doing mistakes, but Windows 10 S has its own target users, and if you get Windows 10 S, you can get a number of advantages, which you might not find on other editions of Windows 10, if you are a novice user. Let’s have a look at the pros of Windows 10. As Windows 10 S is limited only to the apps, which can be downloaded from the Microsoft Store, the platform is highly secure, as third-party apps, which might contain malware will not be able to infect Windows 10 S devices. Though, malware can also find its gateway through the Microsoft Store, but it will be easier for Microsoft to keep an eye on it, as Microsoft can have better control over the apps, which are submitted to the Store, compared to that of numerous third-party sources, which develop applications for Windows. In most of the cases, users may download a number of heavy and incompatible apps, which might make the system slow and unstable, by running the applications in the background, and by clogging up the registry. But Windows 10 apps from the Microsoft Store will not have such issues, which will keep the system running smoothly, and that too without any kind of errors. As Windows 10 S will have a great performance, you can even use Windows 10 S on your old PC, which is having a weak hardware, incompatible for Windows 10 normal editions or other newer versions of Windows. It is easy with normal editions of Windows to download updates software, through various methods, which include torrents, and unauthorized websites. But today, with the aid of Windows 10 S, software piracy is next to impossible, and the only way to download and use paid software is to get it directly from the Microsoft Store. It is only the experienced users, can understand, how difficult it is, to find a bug on the Store, to get paid apps for free. Most of the apps, which you can download from the Microsoft Store are not that heavy and are not very resource consuming. That being said, it will surely help you get better battery life, as limited third-party applications, will be able to run in the background, and even if they do, they will not feed on your battery power. I still don’t know, how Microsoft will handle the background apps in case of Windows 10 S, but I’m sure, Microsoft can handle the background apps quite well so that they do not consume a lot of battery power. This surely has the potential to give you a great battery life. 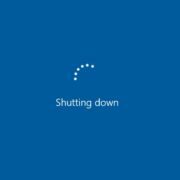 If you are a power user or is fond of using desktop applications, Windows 10 S can make you suffer a lot. Let’s find out the problems, which you can face with the Microsoft’s Windows 10 S.
Not having support for desktop applications can make your system secure, but the problems you can face with this limitation can be more than the advantages. You might have grown up using MS Word, MS Excel, and similar other applications, but with Windows 10 S, you can no longer have access to your favorite desktop applications, which is the biggest disadvantage. 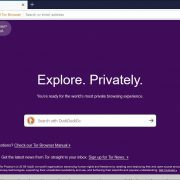 You can’t even use your favorite Google Chrome, or Mozilla Firefox web browser, as you will have to be dependent on Microsoft Edge, for surfing and downloading. Microsoft Edge is a great browser, but most people out there are comfortable with Google Chrome and Mozilla Firefox. Thus, it can be a nightmare for them to switch overnight to Microsoft Edge. Though, you can find the alternative apps for your favorite desktop apps, on the Microsoft Store, but it still requires a lot of extra apps, to make it a full-fledged one. If the developers come forward and start developing apps for Windows 10 S, it will surely rule the market, as Microsoft is a popular name in the world of operating systems. Windows 10 S meant for whom? If you are fond of playing high-end games, most of the high-end games, which are available today are only available for the desktop platform and is not available in the Microsoft Store. Thus, Windows 10 S is not the best operating system your beloved gaming rig, as none of the most popular titles are available in the Microsoft Store. If Windows 10 is that bad, why has Microsoft developed it then! Windows 10 S can be great for a number of users, which you should know before passing any comment on how bad Windows 10 S is. If you are a student and is looking for an operating system, which is lightweight, reliable, and can do most of the tasks, with minimum distraction, Windows 10 S is the best platform for you. You can get almost all the software, meant for your educational requirements on Windows 10 S, and thus, you should never suffer from any kind of troubles. If you are having an old computer for your parents, who are not that tech savvy, and cannot fix their problems alone, you can install Windows 10 S on the old computer, and your parents can easily use it for the purpose of entertainment, and do similar other tasks, which they will need. They will need a limited set of software, and Microsoft Store has all the apps, which are necessary for them. Due to great stability, and unified source for all the apps, they will not need to ring you up every time, in case they need a new software. As Windows 10 S, relying on Microsoft Store, your computer will be much more stable, and you will not have to fix the common problem associated with the operating system, every single day. If you are planning to get a computer for your office, business or your start-up, where you want to work on Microsoft Word, Excel, and with a limited set of software, you can always go for Office 365 which can give you access to all the office apps, for a minimum price tag. You can get maximum reliability and stability, from your Windows 10 S computer, even after not paying a huge amount of money for it. 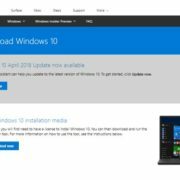 You can download and test the Windows 10 S on existing Windows 10 operating system, here is the link to the guide and download the installer. If you have already purchased Windows 10 S, and want to get over the limitation of not being able to use desktop applications, you can always upgrade to Windows 10 Home, or Windows 10 Pro by paying a small amount of money. Though, you can always get all the Windows 10 editions completely for free and even get the latest updates, with the Windows 10 Insider Program. But, the only limitation is, you cannot use the Personalization option fully. But, if you are planning to build a new PC, and is running out of money to purchase a new operating system, you can use Windows 10 Insider for some time, and get the full potential of Windows, except the Personalization option. You can read my blog here, to know the ways to enroll for Windows 10 insider and get a free Windows 10 today. Hope this small information help you and made all the doubts regarding Windows 10 S clear to you. If you still have questions in your mind, do not hesitate to comment it down below. Fake apps on Google Play Store. And how to find and block them? What is Software as a Service? How is it different from everyday software? Are they any good? What is Wireless Electricity and how it works for our gadgets?